Isla San Pedro offers a doorway into the ancient world, where unique species of flora and fauna still flourish, and history is an open book. 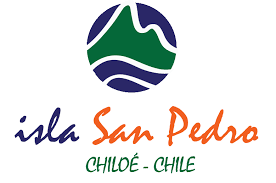 Located in the southern region of Chile in South America, Isla San Pedro offers stunning views of the lower Andean mountains, natural lakes, and a wealth of natural history. Charles Darwin surveyed the island in 1834 on his “Voyage of the HMS Beagle”. This Patagonian paradise is now on the market and it is an unparalleled opportunity. The resort potential of the island is overwhelmingly positive. One can easily imagine the guests of a nature research center and resort facility on the island, coexisting peacefully with the natural world that surrounds them. Boating, hiking, camping, nature photography, bird watching, kayaking, fishing and other activities are perfect fits for the island. The island is reached on the Greater Island of Chiloé. Chiloé is a lush, picturesque area in the northern Patagonian region of Chile that features evergreen forests, rolling hills dotted with farms, and charming coastal fishing villages. Chiloé is located south of Puerto Montt in Chile’s “Lakes Region.” The nearest village to Isla San Pedro on Chiloé is Quellon, which marks the end of the road of the Pan American Highway, which begins in Anchorage, Alaska. The island is a natural paradise – rainbows of colorful wild flowers splash across the island. Influenced by Spanish colonial settlement and the Huilliche Indians, the local culture is distinctive and unique. Lovely old wooden churches, arts and crafts, friendly locals called Chilotes, freshly-caught seafood, and a rich history filled with regional folklore are yours to discover in Chiloé. No matter which season you visit the island, there is something beautiful to find here every time. Chile borders Peru, Bolivia, and Argentina. They are all democratic countries with representative governments who are pursuing sound policies for steady growth and stability. The Chilean government supports strong financial institutions, and actively encourages foreign investment, providing foreign companies with the same legal protections and rights as any domestic company. Foreign investors will find that Chile is a hospitable business environment. The country’s bond rating is the highest in all of South America, and Chile now has a Free Trade Agreement with the United States, opening up even more opportunities. A new look, and controversy, on the edge of South America. Just off the west coast of Chile, where the land starts to look as if it had been broken apart by a jackhammer, Chiloé Island — known for its stilt houses, Unesco-anointed churches , nature preserves, unusual wildlife and raw natural beauty — is getting a facelift. Until recently, the 3,200-square-mile island was mainly a respite for locals. But President Sebastián Piñera has plans to share the island with the rest of the world. © St. Peters Island, S.A., 2016. All rights reserved.